What does it take to build a successful start up? 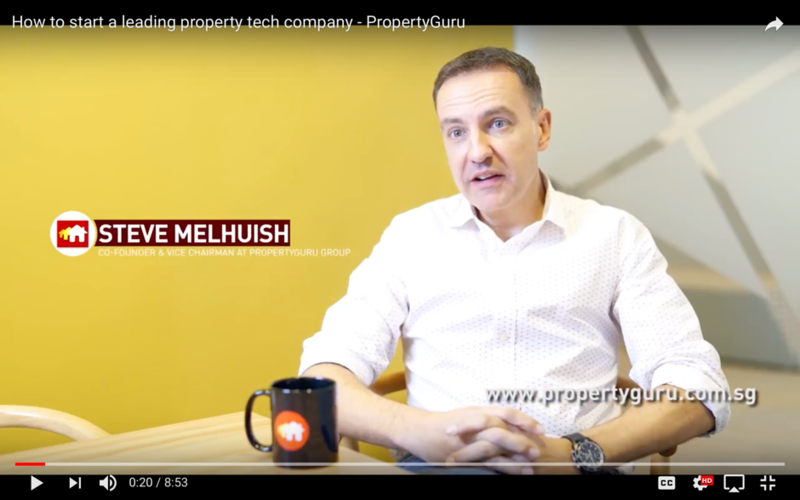 SI Partners’ Director Sam Olsen interviewed Steve Melhuish, the Founder of PropertyGuru, South East Asia’s largest property portal, to develop insight on what it takes to build a successful start-up. The discussion touches upon the key challenges faced by Steve over the course of his journey and the strategies implemented to cope with these challenges. Steve launched PropertyGuru business in 2007 after identifying a gap in the Singaporean property market for an online portal. Steve's entrepreneurial skills enabled him to successfully exploit this gap, navigating challenges such as a lack of talent, to build PropertyGuru to the market leader in Singapore. Following Property Guru's phenomenal success in Singapore, the business expanded across South East Asia into Malaysia, Indonesia, Vietnam and Thailand, becoming Asia's leading property portal. Watch the video interview to hear Steve discuss in detail the challenges he faced, in addition to the booming start-up community in South East Asia which is creating a host of opportunities for up and coming entrepreneurs. For more tech entrepreneur stories follow Sam Olsen's Tech Unicorn Hunt series on Twitter @samholsen and LinkedIn. Alistair is the firm’s founder and global client lead in Asia, connecting clients with global partners and investors across the APAC region. Charles is SI Partners' founder and global head of consultancy. Charles is our global client lead in Europe and North America.